You may start your personalized classes on any Monday of the year. You may attend from one week to sixteen weeks. We will individualize the program according to your needs. Your schedule may be different than the group program. 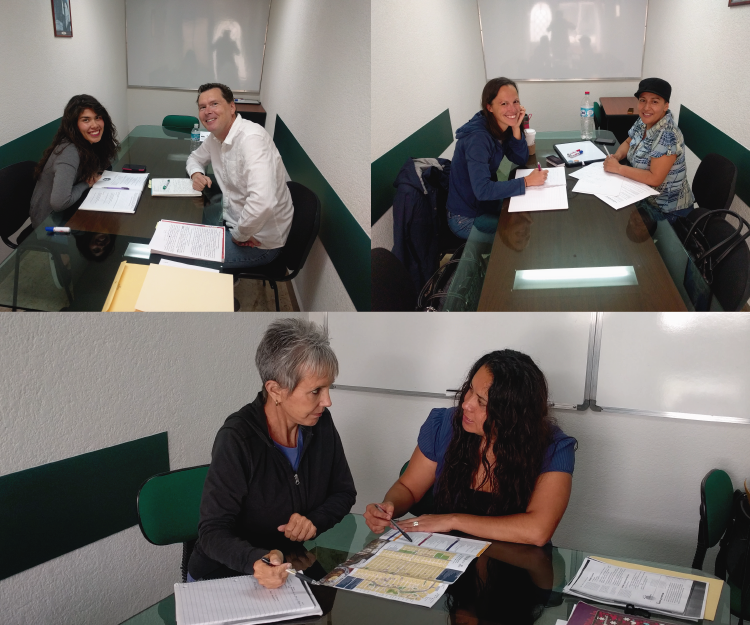 In the individual program we can tailor the program towards your Spanish language learning goals and needs. Legal Spanish, Medical Spanish, Spanish for Social Workers, Spanish for Ministry, Bussiness Spanish, Conversational Spanish, Spanish for Travel, etc. It can also be tailor towards taking a Spanish exam like DELE (Diplomas de Español como Lengua Extranjera), OPI (ACTFL test of Spanish Language Proficiency), CELE (Certificado de Español como Lengua Extranjera - UNAM), Spanish CLEP (Spanish College-Level Examination Program), Spanish World Language (PRAXIS). If you want your Individual Program tailor to anything specific write it in the comment sections of your registration form. The only things not included in the Individual Program are you round-trip airfare and/or transportation from your home country to Puebla, Mexico, the excursions to Cholula and Teotihuacan and the closing banquet. 1 week of instruction (You may start on any Monday). 30 hours a week of instruction (6 hours per day). Pick up and drop off at the Puebla airport. Mexico City airport $95.00 extra. Orientation of Puebla, customs and culture. Free WiFi at the Institute. Daily trips to museums, theaters, parks and movies.